Brown knapweed is native to Europe and was probably introduced to North America as an ornamental species. 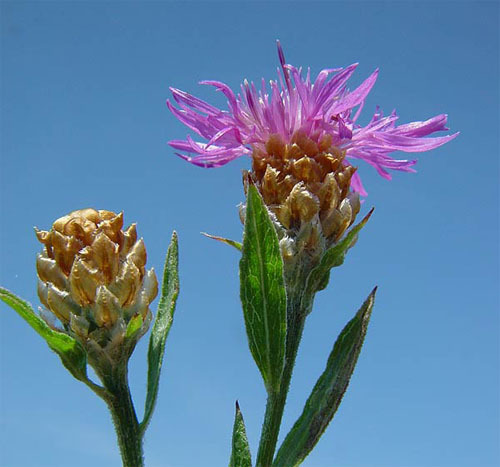 Brown knapweed can invade open forests, grasslands, and prairies. It can out-compete native vegetation, reducing biodiversity and available forage species. Brown knapweed flowers are 15-25 cm wide. Bracts usually have a distinctive papery margin and are light brown in colour. 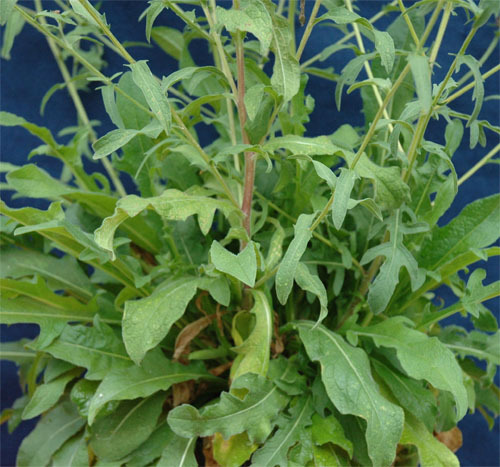 The leaves are green in colour, lance-shaped or shallowly lobed, and become progressively smaller up the stem. The fruits usually don't have a plume or bristles. 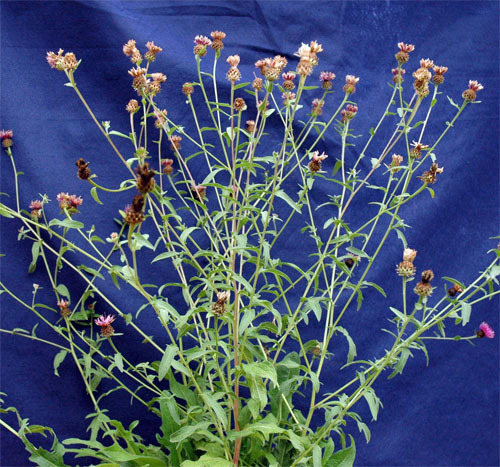 Brown knapweed grows up to 150 cm tall.